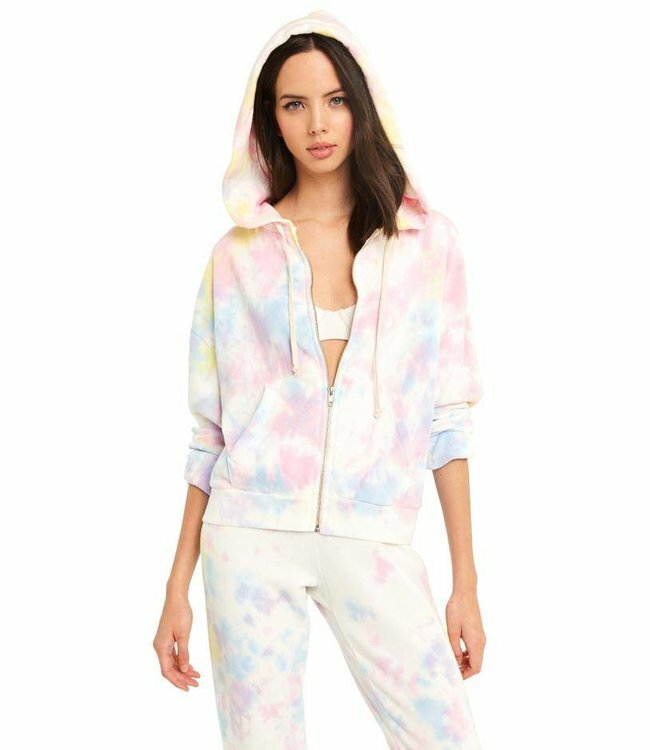 Wildfox Marquis Sweatshirt - Refinery Clothing Co.
A psychedelic twist on a classic hit! A roomy fit, hooded sweatshirt that hangs off the body perfectly with a relaxed cropped fit. In our plush cotton terry. Zip-front detail. Two front pockets. All over tie-dye print.